This one was brought by an employee in the radiology department who claims she was subjected to “a campaign of sexual harassment, intimidation, stalking and threats” from a coworker for nearly two years. Brandi Toscano, a radiology technician, alleges in the lawsuit that her manager brushed off her complaints and those of colleagues on her behalf as “gossip” and that eventually her own pay was docked and her workload increased. 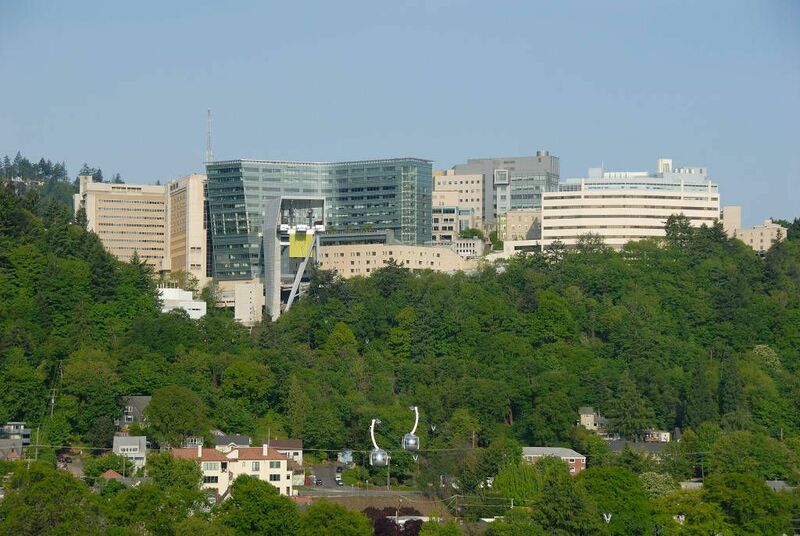 The latest complaint, unlike the others, comes from an OHSU employee who is still at the university. Toscano started working at OHSU’s radiology department in 2012, first as a student and then as a regular full-time employee in 2014. After two years later, the abuse started, the complaint says. It alleges that a colleague that Toscano trained, Brian Vincent, became hostile and angry towards her after “she turned him down.” At the time, Toscano was managing her department on an interim basis and tried to handle the harassment herself, the complaint says. She asked him to stop. But the problem did not go away, the suit says, even after the department hired a permanent radiology supervisor, Debbie Hayes. The complaint says that several of Toscano’s colleagues complained to Hayes about the harassment on her behalf. In response, Hayes called Toscano to a meeting and told her she didn’t want Toscano “inciting gossip in the workplace,” the complaint says. The two agreed that Toscano would approach Vincent, saying he needed to treat her in a professional manner. That did not solve the problem, the suit says: Vincent became more aggressive, waiting for her outside work and threatening her. He cornered her at work in closets and small exam rooms, the suit says, and waited for her in the dark. He yelled at her, saying she should be nice to him. At one point, Toscano found a screenshot of her address on a computer Vincent had used, the suit says. She reported him to the union, and other staff members reported the harassment to Hayes, the suit says. She was worried about her safety and that of her children. Hayes said she was “praying” for Toscano and for the “situation to dissipate,” the suit says. She called Vincent and Toscano to a meeting to get them to “fix” the problem but it turned into a confrontation, the suit says. They had other meetings as well. A coworker who had initially complained to Hayes on Toscano’s behalf ended up notifying two other managers, Sheven Thorson and Brad Reed. All three supervisors are named as defendants in the suit. Thorson notified human resources, the complaint says. The university’s affirmative action office also opened an investigation with Toscano’s union, the suit adds. By October 2018, nearly two years after the harassment started, Toscano discovered pornographic pictures of Vincent on a computer, the suit says. Hayes shifted their schedules so that they did not arrive or leave at the same time, the suit says, but Vincent waited for her in a dark room where she changed her clothes after work. Toscano got a temporary protective stalking order against Vincent, the suit says, and formed a “safety plan” with human resources, the union and affirmative action. Vincent was put on administrative leave, it adds. Toscano’s pay was cut 5 percent last December, and she’s had to manage an extra department because no one was brought in to replace Vincent in his absence, the suit says. “As of the date of filing this complaint, Plaintiff is still currently the only day lead and the extra workload has not been alleviated,” the suit says. Toscano is seeking nearly $1 million in economic and noneconomic damages.